Alvaro Tena, G. Seignemartin, G. Roux, T. Winiarski, H. Piégay, 2017. Factors controlling groyne-field sedimentation and contamination along the Rhône River. 3rd international Conference on the status and future of the World’s large rivers. 18-21 April 2017. New Delhi, Inde. Eyraud V, Balmand S, Karaki L, Rahioui I, Sivignon C, Delmas AF, Royer C, Rahbe Y, Da Silva P, Gressent F (2017), The interaction of the bioinsecticide PA1b (Pea Albumin 1 subunit b) with the insect V-ATPase triggers apoptosis, Scientific Reports, vol. 7 pp.4902 , doi : 10.1038/s41598-017-05315-y. Faucon F., Gaude T., Dusfour I., Navratil V., Corbel V., Juntarajumnong W., Girod R., Poupardin R., Boyer F., Reynaud S., David J.P. (2017) In the hunt for genomic markers of metabolic resistance to pyrethroids in the mosquito Aedes aegypti : an integrated next-generation sequencing approach. PLoS Negl. Trop. Dis., 11(4):e0005526. Galia W., Leriche F., Cruveiller S., Garnier C., Navratil V., Dubost A, Blanquet-Diot S., Thevenot-Sergentet D. (2017) Strand-specific transcriptomes of Enterohemorrhagic Escherichia coli in response to interactions with ground beef microbiota : interactions between microorganisms in raw meat. BMC Genomics, 18(1):574. Gilles, L.M., Khaled, A., Laffaire, J., Chaignon, S., Gendrot, G., Laplaige, J., Bergès, H., Beydon, G., Bayle, V., Barret, P., Comadran J, Martinant JP, Rogowsky PM, Widiez, T (2017). Loss of pollen‐specific phospholipase NOT LIKE DAD triggers gynogenesis in maize. The EMBO Journal 36, 707-717. Goubert C, Henri H, Minard G, Valiente Moro C, Mavingui P, Vieira C, Boulesteix M (2017) High-throughput sequencing of transposable element insertions suggests adaptive evolution of the invasive Asian tiger mosquito towards temperate environments. Molecular ecology, 26, 3968-3981. Habbadi K., Meyer T., Vial L., Gaillard V., Benkirane R., Benbouazza A., Kerzaon I., Achbani E.H., Lavire C. 2017. Essential oils of Origanum compactum and Thymus vulgaris exert a protective effect against the phytopathogen Allorhizobium vitis. Environmental science and pollution research international. doi : 10.1007/s11356-017-1008-9. Hay De-Bettignies AE, Boubakri H, Buonomo A, Rey M, Meiffren G, Cotin-Galvan L, Comte G, Herrera-Belaroussi A. 2017. Control of endophytic Frankia sporulation by Alnus nodule metabolites. Mol Plant Microbe Interact. doi : 10.1094/MPMI-11-16-0235-R.
Lamberti-Raverot, B., Piola, F., Thiébaut, M., Guillard, L., Vallier, F., Puijalon, S. 2017. Water dispersal of the invasive complex Fallopia : the role of achene morphology. Flora, 234 : 150-157. Lassalle, F., Planel, R., Penel, S., Chapulliot, D., Barbe, V., Dubost, A., Calteau, A., Vallenet, D., Mornico, D., Bigot, T., Guéguen, L., Vial, L., Muller, D., Daubin, V., Nesme, X. 2017. Ancestral genome estimation reveals the history of ecological diversification in Agrobacterium. Genome Biology and Evolution 9:3413-3431. Lefebure T, Morvan C, Malard F, Francois C, Konecny-Dupre L, Gueguen L, Weiss-Gayet M, Seguin-Orlando A, Ermini L, Sarkissian C, Charrier N P, Eme D, Mermillod-Blondin F, Duret L, Vieira C, Orlando L, Douady CJ (2017) Less effective selection leads to larger genomes. Genome research, 27, 1016-1028. Michalet, S., Rouifed, Pellassa-Simon, T., Fusade-Boyer, M., Meiffren, G., Nazaret, S., Piola, F. 2017. Tolerance of Japanese Knotweed s.l. to soil artificial polymetallic pollution : early metabolic responses and performance during vegetative multiplication". Environmental Science and Pollution Research, 24(26) : 20897–20907. Oger P.M., Callac N., Oger-Desfeux C., Hughes S., Gillet B., Jebbar M., Godfroy A. (2017) Complete genome sequence of the hyperthermophilic piezophilic archaeon Pyrococcus kukulkanii NCB100 isolated from the Rebecca’s Roost hydrothermal vent in the Guaymas basin. Genome Announc., 5(7):e01667-16. Rendu, Q., Mignot, E., Riviere, N., Lamberti-Raverot, B., Puijalon, S. Piola, F. 2017. Laboratory investigation of Fallopia x bohemica fruits dispersal by watercourses. Environmental Fluid Mechanics, 17 : 1051–1065. Rey B., Ducham C., Roussel D. (2017) Uncoupling effect of palmitate is exacerbated in skeletal muscle mitochondria of sea-acclimatized king penguins (Aptenodytes patagonicus). Comparative biochemistry and physiology A 211, 56-60..
Saucereau Y, Valiente Moro C, Dieryckx C, Dupuy JW, Tran FH, Girard V, Potier P, Mavingui P(2017), Comprehensive proteome profiling in Aedes albopictus to decipher Wolbachia-arbovirus interference phenomenon, BMC genomics, vol. 18 pp.635 , doi : 10.1186/s12864-017-3985-y. Schwob G, Roy M, Manzi S, Pommier T, Fernandez MP. 2017. Green alder (Alnus viridis) encroachment shapes microbial communities in subalpine soils and impacts its bacterial or fungal symbionts differently. 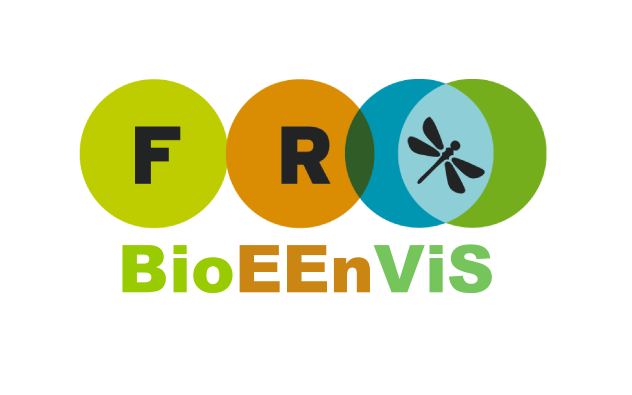 Environ Microbiol. doi : 10.1111/1462-2920.13818. Seignemartin G., H. Piégay, A. Tena, T. Winiarski, G. Roux, 2017. Sedimentation and contamination patterns of dike systems along the Rhône River (France, Session HS9.6 Quantifying erosion, sediment and contaminant redistribution in river basins. 19th EGU General Assembly, EGU2017, 23-28 April, 2017 in Vienna, Austria. Vacheron, J, Desbrosses G, Renoud S, Padilla R, Walker V, Muller D, Prigent-Combaret C. 2017. Differential contribution of plant-beneficial functions from Pseudomonas kilonensis F113 to root system Architecture Alterations in Arabidopsis thaliana and Zea mays. Molecular Plant-Microbe Interaction MPMI07170185R.